the mercy of the current. [This poem first appeared in the Otago Daily Times, 29 October 2012, p. 9. 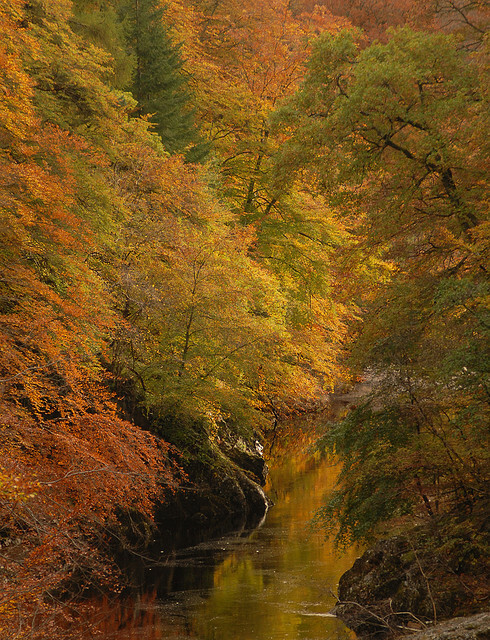 The beautiful image, ‘Autumn, River Garry at Killiecrankie, Scotland’, is provided by Lindsay Mackinlay, and is used by permission]. Haunting. And beautiful. Thank you . Please send autograph (preferably on blank cheque) asap.